It's been four years today since I left the hospital for the second time with an empty belly and empty arms. Four long hard years since we lost Miles. Sitting here today, it's hard to believe that the possibility of a happy ending for my family is now so close. I can only say it's a "possibility" as I'm so keenly aware that bringing Mei-mei home is not a sure thing, not even at this point and not even after such a shockingly normal pregnancy. Even though there are high hopes for a happy ending, I dare not buy any baby gear. Luckily, we do still have baby clothes and a crib (not set up, and won't be until she comes home!). We don't have a carseat or diapers. While I'm in the hospital, Q will have to go shopping for these things we want so desperately to need. Other stuff we can get later on - stroller, high chair, etc. I gave our old ones away to charity long ago, knowing that we'd be only too delighted to spend money buying new ones if we ever got the chance. 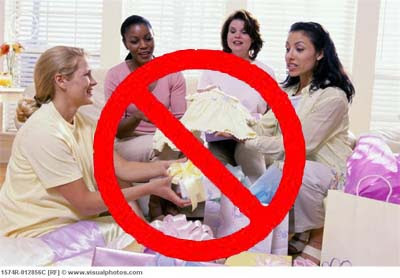 A baby shower has been mentioned but I absolutely cannot entertain such an idea. All we really need is the baby girl we love to be here with us safe and sound. Everything else is just minor details. Next week I'll get the results of the Group B Strep culture. Since I've always tested positive before I expect the same results, which will mean an IV with antibiotics. One more needle is hardly a big deal at this point, but I was disappointed that the test ended my wonderful 6 month + 1 week stretch out of the stirrups. *Sigh* The last time I made it that long was over 6 years ago. I wonder when/if I will ever be so lucky again. Also this week I switched from 40mg Lovenox 1x daily to 5000 IU Heparin 2x daily. Remembering twice a day is tricky, so I'm once again relying on my cell phone alarm. Baby aspirin is discontinued until post-delivery. Now I'm down to just 13 pills a day - yay! These are all supplements recommended by my doctor - prenatal vitamin, calcium, Omega-3, folic acid, and vitamin D. Post-delivery plan is to resume aspirin for the rest of my life - and that's it! Unless I end up with a c-section - then I'd have to continue with blood thinner shots for another six weeks. I actually still have all my used needles and syringes and will turn them in at the clinic after photographing them at the end. What I have now is plenty to make for a very dramatic photo, so I hope not to add any more to the collection after Mei-mei arrives! WOW! A photo of all your used needles and syringes certainly will make for a dramatic photo!! All you need is a baby girl - love this! I might post a pic of all my used needles too - it would be a huge pile! I can imagine how nervous and cautious you must be feeling at this time. You are so close to bringing little mei mei home. you are in my thoughts and prayers. hang in there. I'm still following you Annie. I can't wait to hear the good news. Positive thoughts (or, no thoughts?! I remember I was there not too long ago!)... Tight hugs. I'm with you, I couldnt even think about a baby shower with Manny. It just felt like tempting fate. You are getting so close! YAY!!! Completely understandable that you're not ready to buy stuff yet. As you said, you just need the baby. I wish I would have kept my sharps containers for a grand picture. I turn them back into the pharmacy every month or so. It's crazy to think of how many of them I've had. You are so close and I am so anxious and excited for you! I'll be doing a Lovenox or Heparin regimen during labor and delivery (fingers crossed), so I understand some of those concerns. You are always in my thoughts and prayers! It is totally understandable to feel the way you do after all you've been through. Hoping the next few weeks fly by and baby girl is soon home safe and sound. Congrats on making it this far! I'm sending positive thoughts that everything will continue well. I wish you the best of luck and hope she is home with you soon and you can go wild buying things!